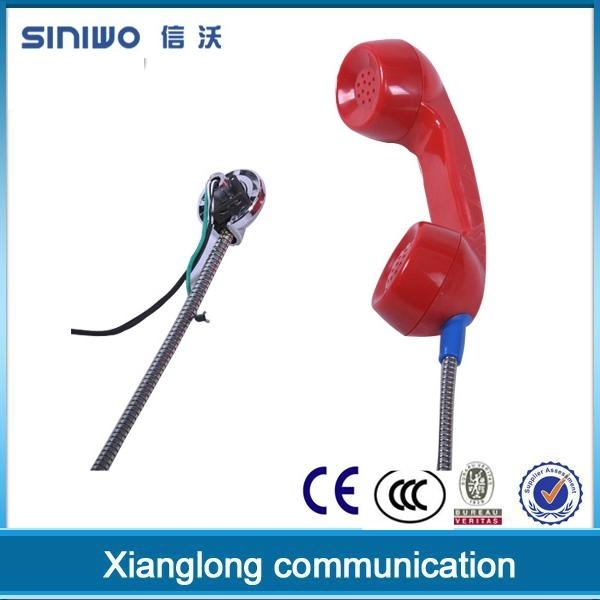 3.used in industrial payphone or harsh area. 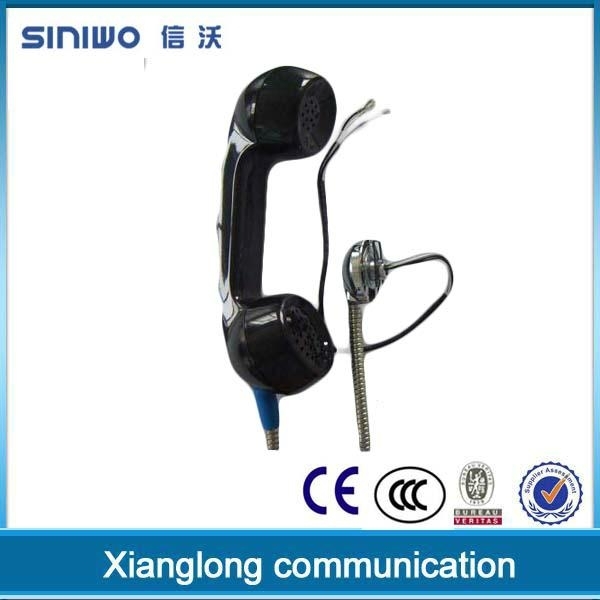 2.The surface of handle handset is made of matte surface, look beautiful, durable, feel comfortable. 3.Integrated structure, sealing, flame retardant. Withstand the percussion is not broken, twisted pull no distortion, no burst at minus 40 degrees. 4.Metal armoured cord use imported 304 stainless steel, has a strong tensile strength. 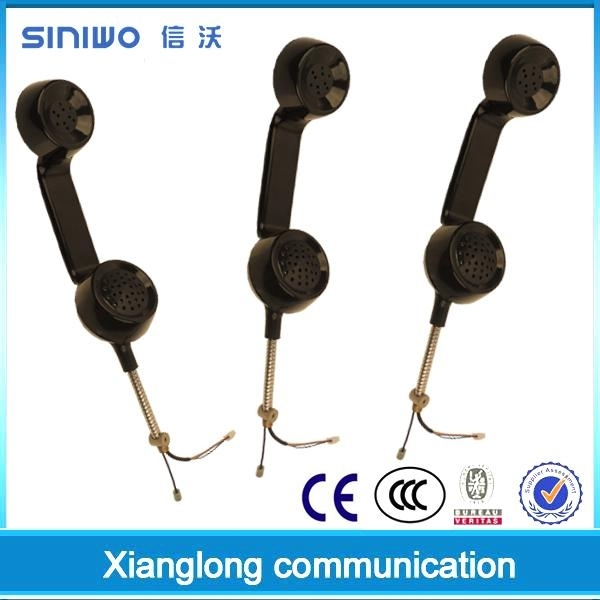 6.Use anti-puncture, hifi transmitter and receiver to ensure the transmission characteristics matching the phone call, in line with requirements of 4.2 GB / T15279-2002's. 7.Can be matched with the base/cradle C01.C03.C06.